The Lenox GX Pedicure Chair features a telescopic foot rest that adjusts from 4” to 10” to accommodate every nail technician. Envelop your client in comfort while protecting yourself from an aching back. 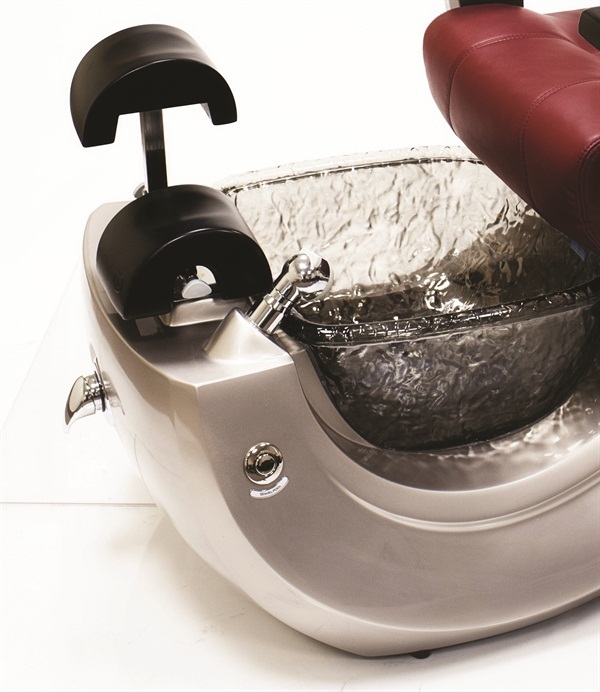 The Lenox GX Pedicure Chair features a telescopic foot rest that adjusts from 4” to 10” to accommodate every nail technician. The new foot rest relieves lower back pressure and improves posture. Each foot rest comes with a left and right foot cushion the technician can adjust separately. For more information, visit www.lenoxpedicurechair.com or call (631) 243-3336.